This scenario takes place millions of times per day. If you’re in a mall, the store clerk will not chase you and ask you to come back to complete your purchase. 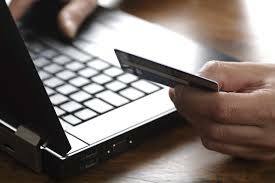 However, when shopping online, the store can contact you immediately in hope of bringing you back to the website. In order to get visitors who initiated an order to come back to your website and complete their order, you need to engage in email remarketing. Remarketing is a technique that is used to follow up a website visitor who engages with your website but leaves before taking action, such as completing an order. Remarketing (or retargeting) can be in the form of display advertising or in this case, email. No shopping cart is perfect and shopping cart abandonment percentages continue to rise. As of July 2013, the average cart abandonment rate is 67%, which means on average two thirds of your web visitors who initiate an order will not complete it. And if a visitor leaves the shopping cart and does not return within the first 60 minutes, the probability of them returning to complete the sale at a later date are reduced by 90% – In essence, 90% of e-commerce leads go cold within the first hour! Email remarketing is now a top priority for US marketers, and it’s no surprise as visitors that abandoned your shopping cart almost bought from you. Sending an immediate email to someone who abandons your shopping cart is a highly effective tactic for increasing conversion rates. You won’t remarket to everyone. For example, a visitor who arrives at your home page only to leave is not engaged and therefore sending an email to that visitor will only frustrate them. You want to remarket visitors who engaged with your website and almost made a purchase. One example is to send an email to visitors who added an item to their shopping cart but did not complete their order. Another example might be to remarket to those who visit high value products on your site. As soon as you can identify this type of traffic, you will start to see conversion opportunities. If you have 10,000 visitors and only 90 complete a purchase, you have a 3% conversion rate – Congratulations! But you can increase this, as your remarketing opportunity is 30%, or approx. 3,000 visitors – That’s a lot of potential sales you can recover by simply sending an email! The Top 10 Converting Websites report from SeeWhy found that conversion rates can be as high as 41%. With the average conversion rate for an e-commerce store being 1-2%, SeeWhy investigated why these websites were able to convert four of every 10 web visitors. It’s a simple strategy but is very customer/ conversion focused. Using the report, see how you compare to the top converting websites below. How effective is email remarketing? Forrester Research found that remarketing emails can generate nearly four times more revenue and 18 times greater net profits compared with marketing using simply untargeted mailings. Case study #1In 2011, Norwegian cruise line Hurtigruten tested email remarketing campaigns manually by contacting customers who had booked, but had not paid for their trip. Hurtigruten’s booking process allowed for visitors to save a booking for 48 hours without payment. If no payment was received within 48 hours, the booking was canceled. From 25 emails sent, 16 orders were saved that resulted in sales of $57,000. Case study #2Haven Holidays implemented an email remarketing campaign that sent emails within 24 hours of shopping cart abandonment to users based on product and drop off point within the booking process. Haven Holidays found a 2815% ROI on their email remarketing campaign as well as higher open and click through rates compared to regular email campaigns. Case study #4In 2013, Scandinavia’s largest auction site, Netthandelen.no set up an automatic e-mail to be sent out to customers that had bid and lost an auction. The e-mail contained a message about the lost auction and a link to a new auction with the same product. The e-mail has generated over $1.8 million in trackable revenue in three months. Brands have saved millions of dollars by implementing remarketing strategies. And according to Econsultancy, even the most basic abandon and browse emails pull in over 31% higher transaction rates. There aren’t that many brands that remarket to abandoned shoppers but we’ve scoured the web and tested different shopping carts in order to find the best email remarketing campaigns online. Here are three great examples of websites that engage in remarketing to help inspire you. ProFlowers have an average conversion rate of 26.5%. One of the best things they include in their email remarketing program is a coupon code to help further incentivize the purchase. You will also notice that ProFlowers include the discounted price within the email ($39.98 down to $35.98). Can you imagine a more personalized email? Not only does Fossil reference the product you added to the cart but they also show the actual product being used. The email also includes a direct link to the shopping cart. It’s a very personal and memorable remarketing campaign. Dell’s remarketing email to abandoned shoppers creates a sense of urgency by informing the visitor that their shopping cart is about to expire (and even includes the exact time and date!). The entire tone of the email is customer service oriented, and doesn’t come across too pushy. Executing an affective email remarketing campaign is not easy. In fact, only 26% of e-commerce sites remarket. Remarketing ensures prospective customers keep both the product they were interested in and the brand at the front of mind while they decide on the purchase. The primary cause of such low integration is either retailers oblivious to the problem, unaware of the the solution, lack of capacity to effect a solution, or lack of funds to instigate a resolution. SwiftERM can’t help if the retailers don’t know about the problem, but because it is fully automated SwiftERM needs no operator, strategist or marketer. It is famously high-tech low cost and delivers a solution fit for all from the smallest to the largest pockets. A month free up-front also makes retailers start their investment and remain in profit. It satisfy’s all the prerequisites for maximum effect. First Introduction – Establish a dialogue with your customers: Using a customer service tone – the first emails establish an affinity between you and your customers. Knowing already what their buying habits and timing is exactly allows you to only deliver what they want to look at when they want to. Development -what happens next: The subsequent emails reassure the customer by style, typeface, design and layout, all reassuringly professional and critically uniform – which builds trust. But each email is unique and personal to that individual consumer. The quick links and product images are take from the large images on your website database of SKUs. The message stays focused on the consumer and avoids unnecessary details – such as trying to cross-sell products or highlight a new product launch, it remains focused on just the products of highest interest to that person. Subsequent emails consolidate affinity: If there has still been no purchase, the intelligent learning capacity within the system recalculates the product selection adjusting to KPIs (key position indicators – capturing data within the system) that automatically appreciate the distinction of influence and capacity for changing and diverse tastes over-time of that individual with your website. Remarketing is not just limited to your purchasing process and one important remarketing activity is to capture the email address before the web visitor initiates an order. The best place to start is your home page, which then gives you license to send your remarketing emails. SwiftERM captures historic data on many visits for browsing and pre-order capture, which are immediately aligned with registration for use by SwiftERM when the email address is captured. By ensuring your email sign up field is above the fold, you will make it easier to capture the email address and increase your customer data within your CRM database. Offering incentives to sign up is also a great tactic such as offering something of value such as a free e-booklet or as Woman Within does, by offering a free shipping discount code for the first purchase. It’s no surprise that remarketing emails are highly effective. The more relevant the email campaign is, the more likely the shopper will convert. If you have tested an email remarketing campaign and you didn’t notice a significant increase in ROI, then it might have been because you have campaign driven software rather than an automated one such as SwiftERM or perhaps it looked like a generic newsletter. There is a formula to getting the best out of your remarketing campaigns, and the most effective formulas is personalization. SwiftERM is 100% unique and personal to each and ever consumer, and the retailers does no slicing and dicing i.e. segmentation of audiences etc. Remarketing emails should be relevant one-to-one marketing. You need context, and each should be personal. In addition, the signature should be clear with correct contact details. 1. Choose your email remarketing software carefully – not all are the same: in order to keep your brand at the forefront of the customers mind choose one that helps deliver an affinity. Remember, they almost bought from you. 2. Remarketing is not about campaigns, it is about personalizing and tailoring to the shopper. Address them by name and offer your support in helping the visitor purchase your product or service. They may have left due to a technical error and are in need of assistance. 3. Give highest priority in your remarketing emails to abandons: to remind the abandoned shopper what they almost purchased. Provide a clear image of the product and support it with guest reviews within the email. 4. Make your call to action prominent and link directly to the saved shopping cart. You want your abandoned shopper to see where to click within the email and that they arrive at the shopping cart checkout page. Do not send your shopper to your home page. Make it as easy as possible. SwiftERM email links go directly to each individual product. Email remarketing campaigns will be your most profitable campaigns and can generate up to 100x the return compared to a regular email marketing campaign. The number one reason shoppers abandon carts is due to unexpected shipping costs added late in the order process. This usually occurs on the “review” page which shows product price, shipping costs and taxes, which could increase the order value by 50% or more. Be clear about your shipping costs from the beginning or if possible, offer to ship items to free. You can always create rules for free shipping, e.g. free shipping to members (like Amazon Prime), free shipping on orders over $50, or like Zappos who offer free next day delivery for orders before 1pm PST. The second reason for abandonment was that the visitor was not ready to buy. You can’t control when the customer wants to buy, but you can make it easy for when they return by offering a persistent shopping cart. A persistent shopping cart will save the product in the visitors cart for a specific number of days (e.g. 30 days) so that when they are ready, they do not have to browse the product selection and can jump straight back into the order process (Amazon does a great job of this). On a website, you can inform a web visitor earlier on in the process by presenting which payment methods your web store accepts (credit card, bank transfer, etc.) and you can include trust seals if you have been verified by third parties (like Vitacost does below). This will give confidence to the buyer so they do not need to go elsewhere. Competition is fierce. If you have an e-commerce store or provide a service, you need to outsmart your competition and increase market share in ways that don’t take up your entire marketing budget. Netthandelen recovered $1.8 million within three months. Only 26% of companies remarket. And it’s even less for Internet Retailer 1000 websites! And if that’s not enough, new research shows that cart abandoners are more likely to spend 55% more compared those that completed an order. The top converting websites use email remarketing and it’s a proven tactic to increase online sales that your competition isn’t using. Use this guide to get started and you can send emails to abandoned shoppers today! How you seen a significant increase in conversion rate since implementing email remarketing? Please share your comments with us.